The Graffiti Tracker system uses each photo’s GPS coordinates to plot graffiti incidents on an interactive map. 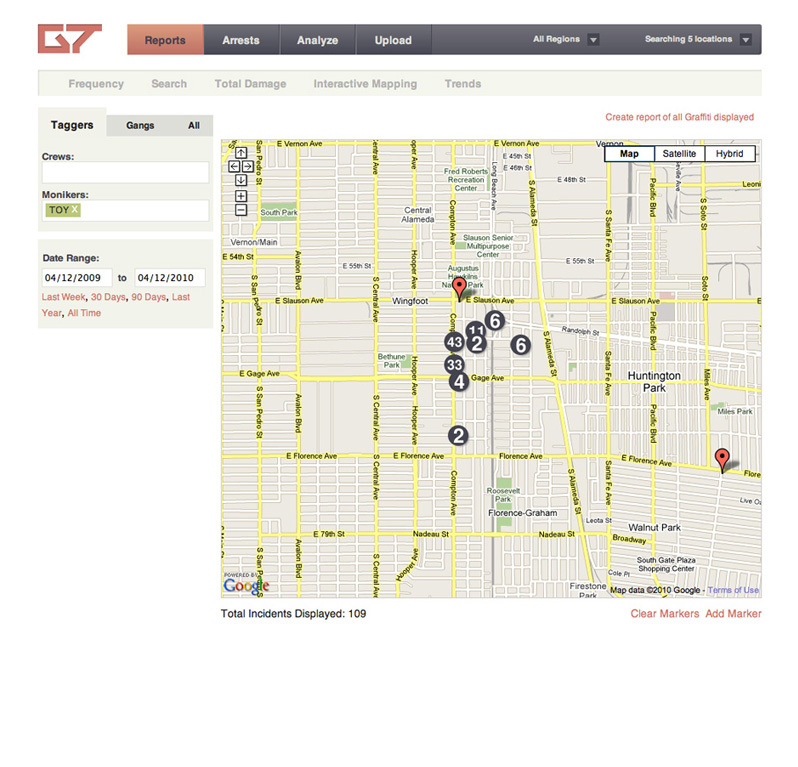 Narrow your search to view activity from individual vandals or specific crews or gangs. Identify the path of damage, trends or migration related to graffiti.